WE CREATE EXTRAORDINARY CUSTOM CAKES FOR WEDDINGS AND CELEBRATIONS. Our goal in creating your cake is to make it a delicious focal point - a reflection of your taste and style to share with your guests. We create custom cakes and desserts that are as delicious to eat as they are beautiful to look at. We offer a menu of seasonal flavors, handcrafted from the best ingredients, that will leave your guests with a sweet, delicious memory of your occasion. Whether you want clean lines or more extravagant sculpted fondant designs, we offer something for everyone’s taste. Wedding cakes are just a slice of what we do. 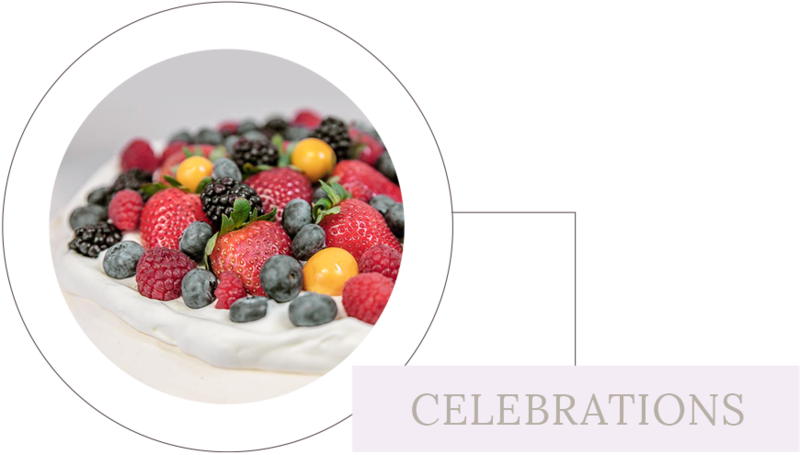 Check out the other special occasions we create desserts for.